I hope everyone had a lovely long weekend! Ours was filled with sunny lake days, home cooked meals, glorious fireworks, baby kisses (love my nieces! ), groggy afternoon naps, & belly laughs. My face is slightly more freckled & my body is rested & ready to hit the ground running again today… back to teaching kids math! Lately I have been trying to mix up my teacher wardrobe of skirts & cardigans with funky pants & fun jewels. True story - one of my Summer School 3rd graders told me that when I wore bold prints, all my prancing around at the front of the room made him dizzy… guess that is why you have your eyes on the board & not on my pants kids! Looking to mix up your Summer wardrobe? 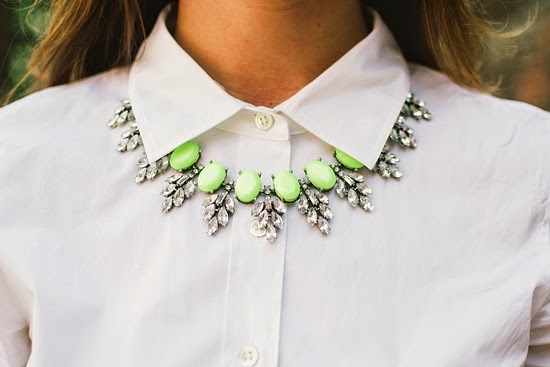 I suggest adding pretty jewels from Daisy Gem! 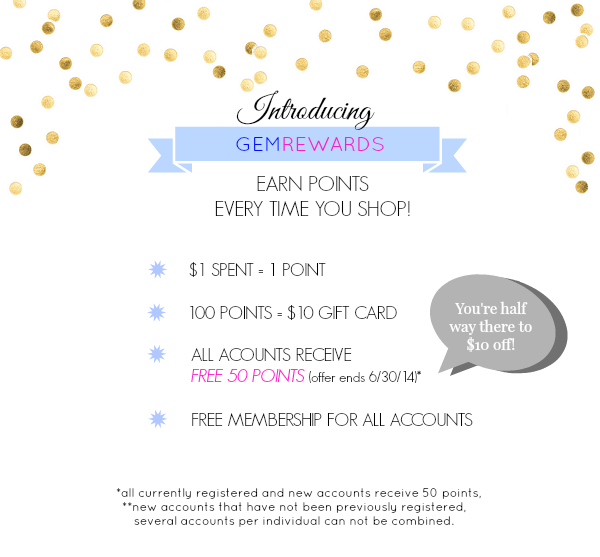 Shopping at Daisy Gem is now even better with their new GemRewards program which rewards members for all their purchases with points. Sign up today & receive free 50 points. Every $1 spent = 1 point, & 100 points = $10 gift card, so everyone is half way to $10 just by signing up! 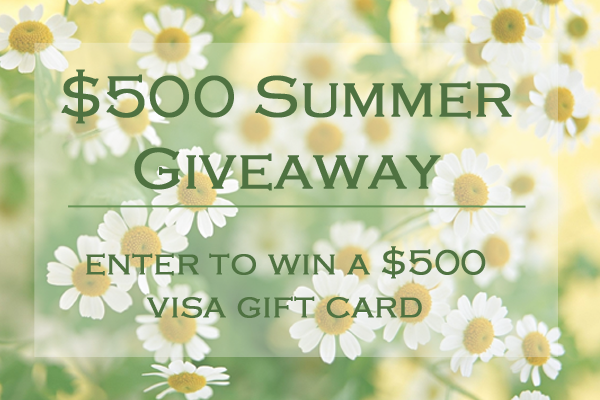 And if you are looking to shake up your Summer wardrobe even MORE, enter to win $500 from the lovely ladies below. A random winner will be selected via Rafflecopter after 7 days. Awesome pants, and I love the necklace! Ummmm YES TO THOSE PANTS!!!!!!!!!!! 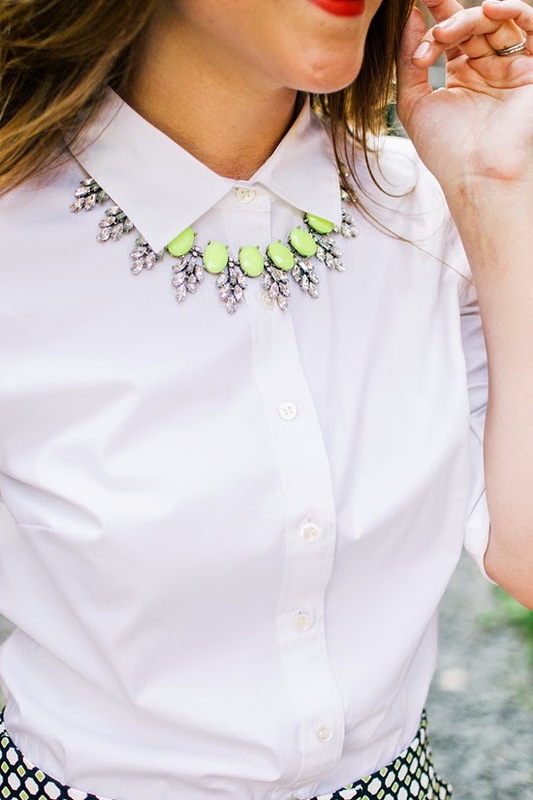 I'm loving everything about this outfit, especially how the neclace ties it all together. I also really like your shoes and am trying to work up the courage to try a pair of them myself. You're the most stylish teacher ever! This is totally an outfit I'd wear to work on the regular–in fact, I've definitely worn something very similar recently! I am loving this outfit! 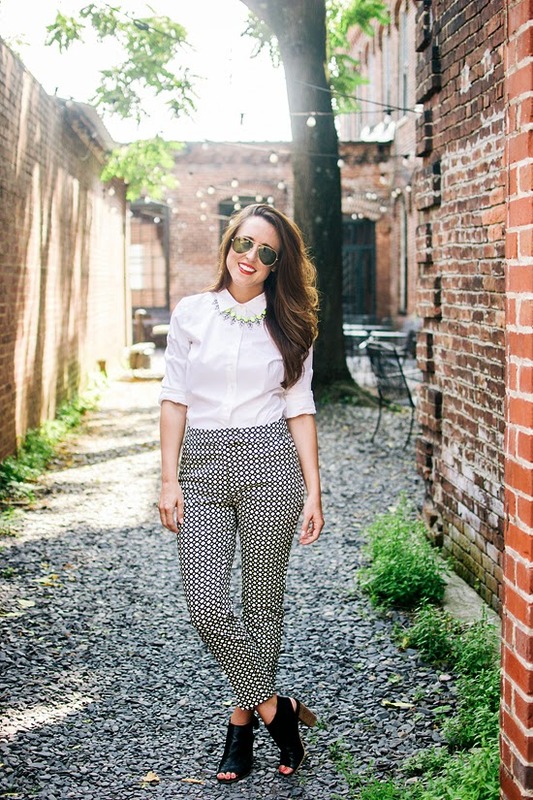 Those pants paired with that statement necklace is an awesome combination! These pants are so fun! I have a very similar pair on today! Awesome giveaway and LOVE the pants too. So in love with prints now! Fantastic pants, the necklace really brings the whole look together. Glad you had a nice relaxing weekend! 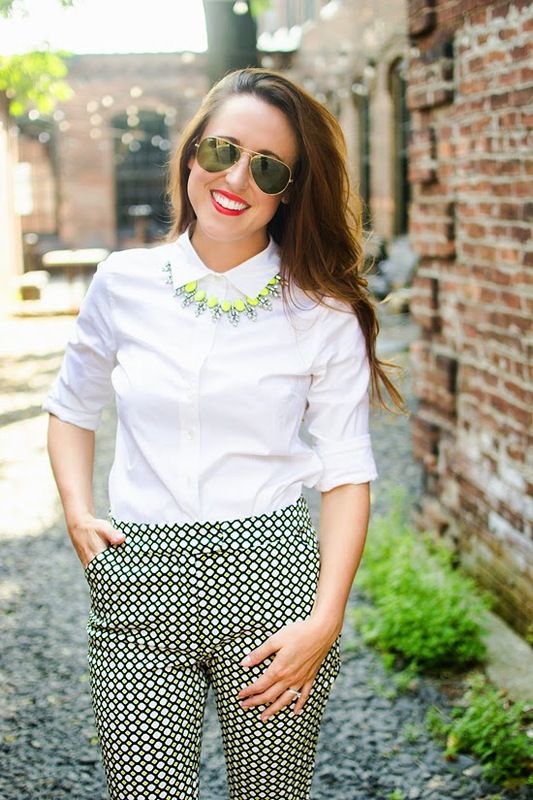 Jessica, you can never go wrong with a crisp white blouse. I love how you paired it with those awesome trousers. This is such a great look! Those pants are amazing! Love! haha Don't make your students dizzy! Shame on you! :D But seriously though - I love that necklace!